The thought of Scottish homes often conjures a vision of stone row houses nestled together on cobblestone streets, rolling green hills, or rocky cliffs. 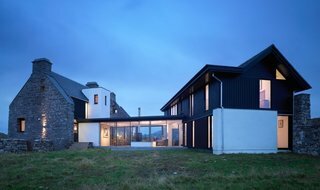 While the country proudly boasts ancient and historically significant dwellings that offer rich stories, these 10 renovations show how the Scottish are incorporating modern design elements into their existing architecture—celebrating both history and modernity at the same time. This renovation was designed for a young family by Glasgow-based architect Andrew McAvoy of Assembly Architecture. 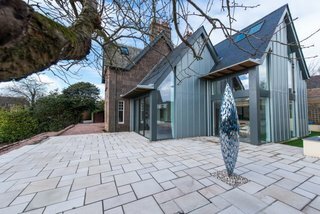 McAvoy followed the original U-shape of the former residence by building two new energy-efficient houses, the first of which combines the original granite building with a new extension to provide an open-plan living area and three bedrooms. 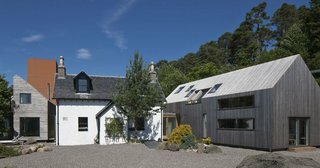 The Old Farmhouse at Invergarry was built in 1868 and has been in the Grant family for more than a century. So, it was fitting that the current owners enlisted their architect daughter, Mhairi Grant, to renovate the home to suit their modern needs. Mhairi designed a double-height internal space while retaining the historical façade, and replaced the outbuildings with two contemporary guesthouses—which connects to the main home through a glass corridor. The renovation, completed in 2014, also features a Cor-Ten tower to house the library with a third floor viewing platform. The White House was originally built in the mid-1700s on the Isle of Coll, but was subsequently abandoned for over 150 years. With only ruins remaining, the owners enlisted WT Architecture to complete a renovation that would incorporate what was left of the former structure with a modern and low-impact home. The result is a stunning mix of the original stone facade with new large windows that frame the ocean view. 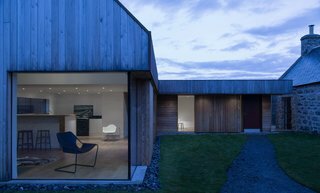 This former fisherman’s cottage on the Caledonian Canal was transformed in 2009 by Reynolds Architecture Ltd., which implemented an open plan that faces the ocean. Timber cladding and large windows unite with the historic facade of the home. 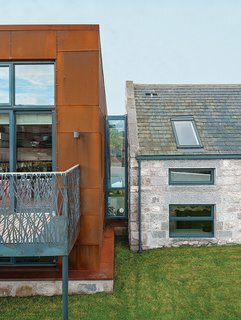 In 2016, Hyve Architects completed the renovation of The Gables, a heritage home in Stonehaven. A modern extension features an open kitchen and family room that connects to the main stone home. The double-pitched roofline of the new structure references the end gable line of the original house. 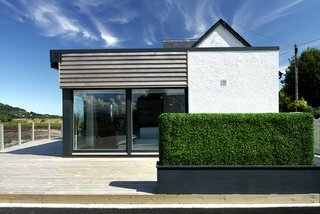 Bergmark Architects renovated this bungalow in Edinburgh in 2015, extending the structure into the backyard and providing an open concept kitchen, living, and dining area. 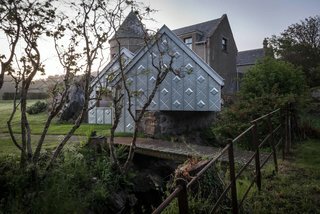 Finished in 2010, Glasgow-based Dualchas Architects converted a former L-shaped byre into a live/work space for a printmaker and textile designer. While interior concrete walls divide the working and living spaces and new windows and skylights bring in additional light, they still managed to preserve the original character of the structure. 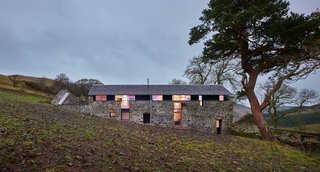 This previously abandoned granite, 18th-century farmhouse in the Scottish Highlands was restored and extended by Moxon. The addition—that's clad with larch and red metal—references the gabled roofline of the original structure and is connected via a glass passageway. Another home by WT Architecture, The Mill is a former threshing mill that was transformed into a modern vacation home. Abandoned for 70 years prior to its renovation, the structure required significant work. The majority of the interior spaces are open-concept and lined with plywood and pine planks, and additional windows allow for views to the valley. 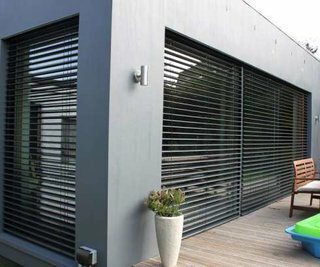 This example of a modern renovation was completed by Studio Weave. The zinc-clad artist’s studio is connected to a historic stone home and mimics the traditional gables and moldings of local buildings. The interior is completely finished in plywood.